Make A Smooth Apartment Move - Moving Services Inc. | Moving Services Inc.
Make your apartment transition as stress-free as possible. Perhaps you have accepted a company transfer or you’re making a career change. Maybe you’re ready to retire. For whatever reason, you’ve decided to relocate and you’re going to move into an apartment. You’re in good company. Approximately 30 million Americans find apartment living a comfortable and affordable alternative to home ownership. Our goal is to help you save time and expense — and make your move as smooth as possible. Your relocation can go more smoothly if you understand how timing affects it. If you are moving into a university town, you’ll have more apartments to choose from in the summer. However, summer is also the time of year most families relocate, since school is not in session. The best time to rent in urban areas varies. People tend to stay put during the November-December holiday season, and vacancies may be fewer as a result. By the same token, there may not be as much competition for that nice apartment that occasionally becomes available during the holidays. In late April, weather conditions are usually moderate and you can beat the hectic summer moving season. Ultimately, the best time to move can depend on a number of factors, some of which may be beyond your control. In any case, your local Moving Services, Inc., agent can advise you on the timing advantages for moving into a community. Visit several locations and weigh the things you like or dislike about each. Knock on doors and introduce yourself. Are the neighbors friendly? What do they say about the way the apartment is managed? Do they have any comments about noise? When you find that perfect apartment, be ready to act. Have your checkbook, proof of income, resume, references and credit report ready to show the landlord. Why risk losing that dream apartment simply because you aren’t prepared? And remember, the landlord’s impression of you — influenced by such things as your manner, punctuality and appearance — can have a big impact on your ability to reach a favorable agreement. If you have a disability, you’ll want to find an apartment that will accommodate your particular needs. The National Accessible Apartment Clearinghouse (NAAC) offers apartment-locating services free to people with disabilities. Contact them at 1-800-421-1221 or by e-mail: clearinghouse@naahq.com. Use the following checklist (a downloadable and printable pdf) to help evaluate your apartment choices. Printing several copies of this checklist may aid you in your comparison of different complexes. You may find a little preparation helpful as you make your inspections. Take along a tape measure, list of dimensions of your furniture, a flashlight, night-light, lightbulb, matches and blue food coloring. When you have found the apartment you want, you will most likely be required to sign a lease, a legally binding written agreement between you (the lessee) and the landlord (the lessor). Leases are usually standard forms, but they can be amended if changes are written on the document and both parties add their initials. Remember: If an agreement isn’t in writing, you have no proof to back you up in the event of a dispute. Included in the lease should be a detailed description of the condition of each room. Note any damaged areas or items in disrepair. Get the landlord to agree, in writing, to make needed repairs before you sign the lease or pay a deposit. It’s important to read your lease very carefully. Make a note of anything you don’t understand, and don’t hesitate to ask questions. Never sign a lease with blanks that are to be filled in later. If you have doubts, consult an attorney. If you have a month-to-month rental agreement, notify your landlord in writing at least 30 days before you move. If your lease is up, you don’t have to give advance notice — but it’s a good idea. The landlord will need to find another renter and will appreciate your courtesy. Maintaining a good relationship with your landlord is always in your favor, especially when you vacate. Your security deposit can be as much as one month’s rent, or more. Obviously, you’ll want to do everything you can to ensure that the deposit is returned to you. As a rule, your security deposit should be refunded within 30 days after you vacate. The landlord is not allowed to deduct for normal wear and tear, nor refuse to refund without a reason. 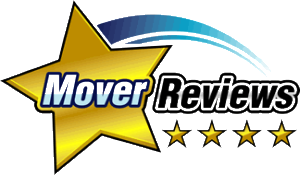 A good way to avoid damage that can occur in the process of vacating is to enlist the services of a reputable mover. Your Moving Services, Inc., agent, for example, carries insurance in the unlikely event that the apartment is damaged while you are moving out. Now that you’ve found an apartment, it’s time to plan an efficient relocation to your new home. Who will move you? How much will it cost? What special arrangements must be made? And how should you handle all the little details? It’s advisable to contact a professional mover at least six weeks before you intend to move. Obviously, we hope you’ll contact your local Moving Services, Inc., Van Lines agent. Look in the Yellow Pages under moving, or you can find a geographic listing of all Moving Services, Inc., agents on our “Find an Agent” page. There are several things you’ll need to take care of in the weeks before you move. Refer to the following typical timetable for what needs to be done, and when. Tour your home and decide which items should be discarded or donated to charity. Consider a moving sale. Call physicians and dentists. They may recommend a colleague near your new apartment. Get copies of renewable prescriptions. Check renter’s insurance policies to see if moving is covered. Be sure your new apartment is protected by transferring theft, liability and other personal-property insurance. If you have house plants to move, review Moving Services, Inc.,’ “How To Move Your House Plants” and start preparing your plants for the move. Movers can’t take aerosols, flammables, corrosives, ammunition, or propane tanks. It’s best to use them up or give them away. Drain fuel tanks on gas-powered equipment such as lawn mowers, trimmers and chainsaws. Notify the Post Office and get change-of-address forms. You must fill out a form for each person receiving mail at your address. Decide which items you’ll pack, and which you’d like Moving Services, Inc., to pack. Your Moving Services, Inc., agent can provide the finest do-it-yourself packing materials at reasonable prices. Close or transfer charge accounts. Return library books and other things you’ve borrowed. Collect things you’ve loaned and items in lay-away or cold storage, and pick up dry cleaning. Draw up a floor plan of your new apartment and indicate placement of furnishings. Movers are not permitted to take down TV antennas; your Moving Services, Inc., agent can arrange to have it done, if you wish. Arrange for cable or satellite TV and utilities disconnection. Transfer bank accounts, and ask your local credit bureau to transfer your records to your new city. Reconfirm travel reservations. Arrange to have cash, certified check, personal check* or money order ready to pay the van operator before goods are unloaded (unless your employer is paying the charges or you’ve arranged to pay by credit card). Get name, address and phone number of your Moving Services, Inc., destination agent. Your local phone company business office can help you with phone service for your new apartment, as well as disconnecting service at your present apartment. Anything Moving Services, Inc., is packing should be left in place. It’s easier and safer, for example, to pack glassware right from its cabinet. Pack the items you’ll need right away in a special box to be loaded last and unloaded first. You may want to include cleaning supplies; toiletries; coffee pot; phone; paper and pen; medical supplies such as aspirin, bandages, etc. ; towels; kitchen utensils and paper plates; beverages; etc. Be on hand all day to answer questions, accompany the van operator during inventory, sign the bill of lading, and confirm your new address and delivery date. Be sure to advise the van operator of your accommodations and telephone number en route. Make final check of every room and storage area. Make sure windows and doors are locked, keys are transferred, and lights are out. Once you arrive at your new apartment, all your planning and preparation will have paid off. Although there’ll be some “settling in” to do, the new place will soon begin to feel like home. And you’ll take comfort in knowing that all the little things, as well as the big things, were handled well. You chose Moving Services, Inc., and you made a smooth move. * Make sure the mover accepts personal checks.